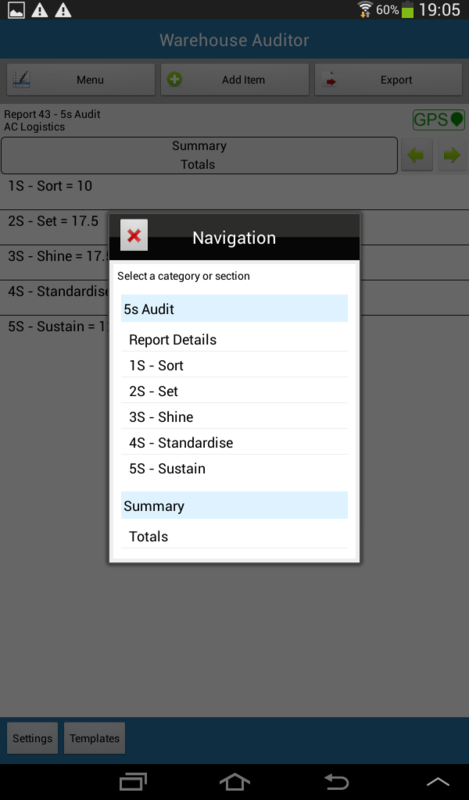 Replace your paper forms with our easy-to-use checklist templates, designed to follow set reporting procedures and seamlessly integrate with your company's H&S policy. This is how a completed PDF report looks. Photos appear at the end of the report and show the date/time and GPS location. Each template has a feature to record 'Corrective Actions' these can be emailed from the report straight to the relevant department. Answers to Questions, show ‘Potential, ‘Actual and ‘Percentage scores. 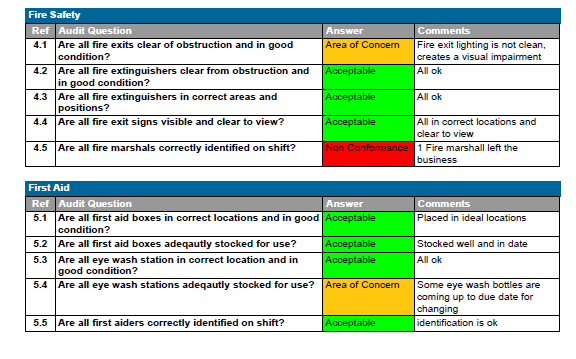 Colour coded answers, calculate scores ‘Potential’ and ‘Actual’ which total and appear at the back of the report. Question set and page of a report. This is how the open questions require answering, with photos if necessary. Enables the driver to report and record vehicle defects. Easy to complete template, to encourage drivers to carry out daily inspections. 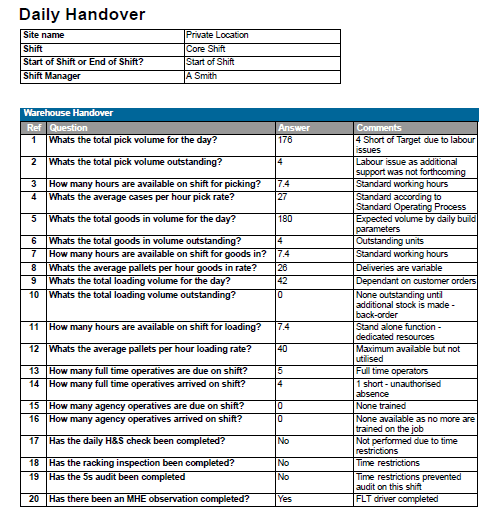 Warehouse H&S checklist is a walkthrough inspection, which checks the condition of ailes, stairs, ladders, etc. Use this template before you start your shift to identify if employees wear appropriate PPE, are aware of the emergency procedures and are fully trained on material handling. 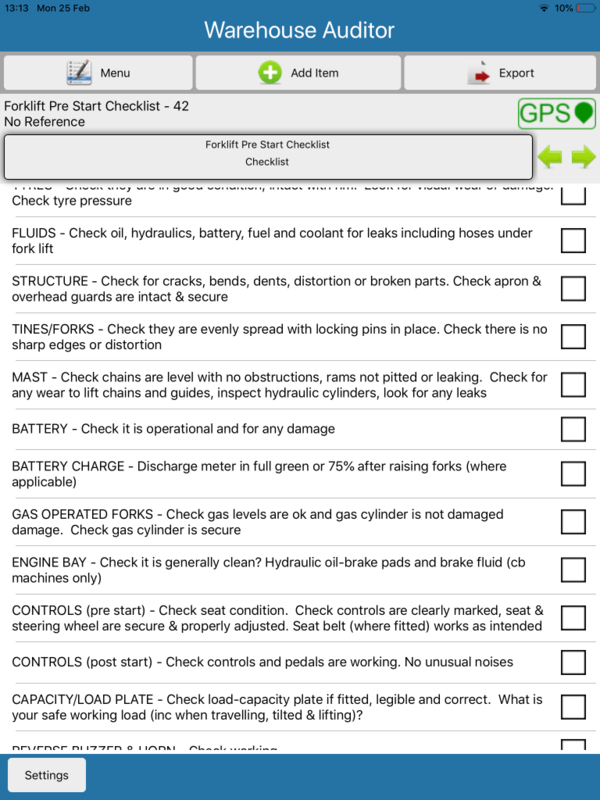 This checklist can be used to make sure that necessary fork-lift checks are carried out and that defects are reported and repaired. Some of the questions within the template. If your operation requires bespoke templates – no problem! We can design these for you. Just get in touch with us for a quote.